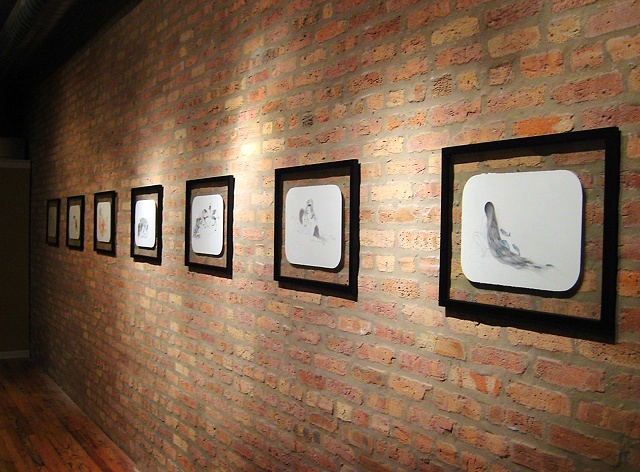 Drawings from the Cohabit series installed at The Coop Gallery. %In Cohabit, a series of drawings by Jenny Kendler, the artist makes visceral the connection between the human body and the natural world --- laying bare our human bodies as undeniably animal and sexual. A sensuous conception of being is presented; a melding point between the body and the 'other'.